Hello and a Very Happy New Year to you! I really hope that you had a great Christmas and are now getting into the swing of a new year and old routines! The first card above is for my brother-in-Law from my Mum and Dad. 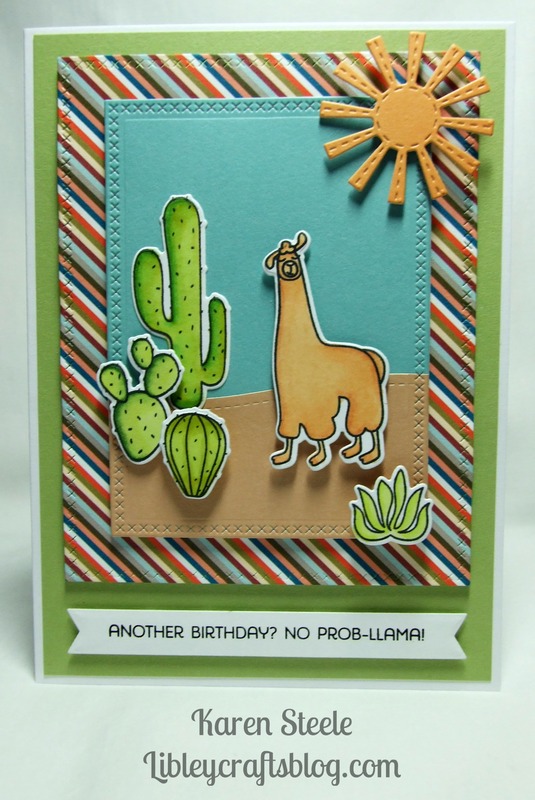 I love the faces on these llama’s – they’re very comical! 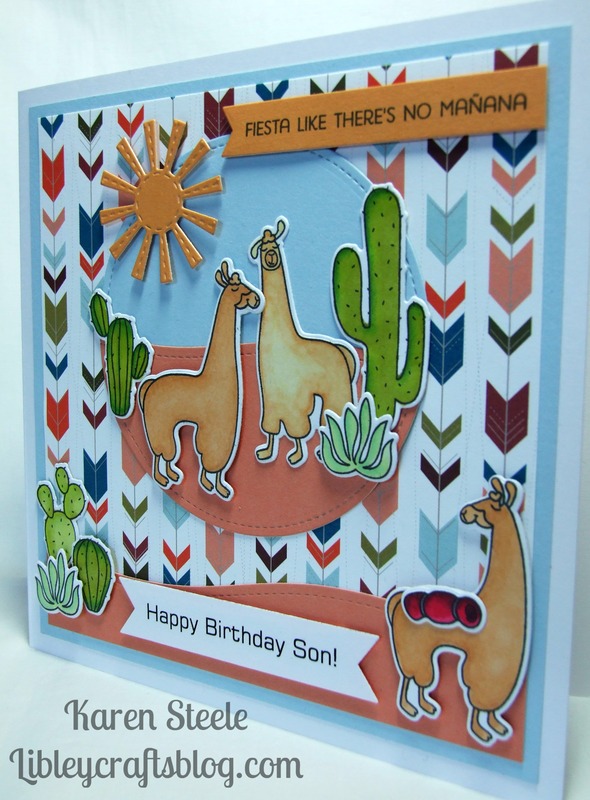 The card below is for a friend of mine and the last one is for my cousin’s son. 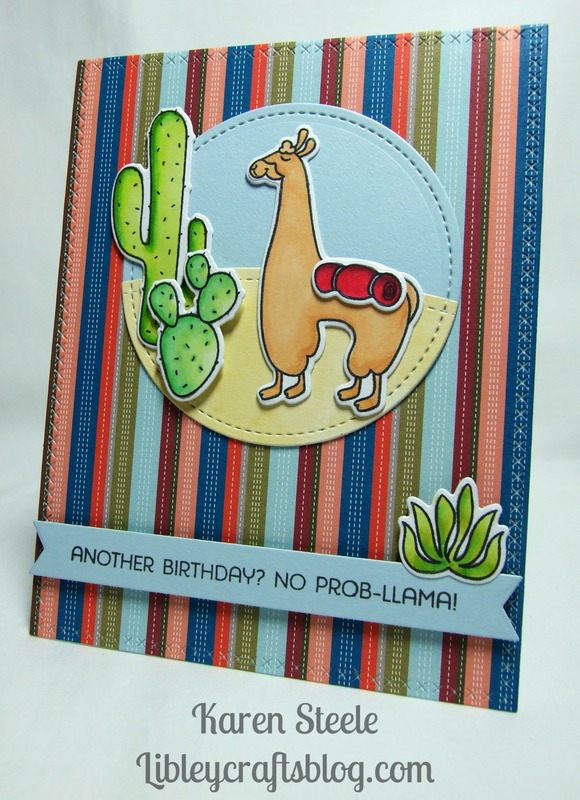 Supplies used: My Favorite Things – Llama Love stamps and dies and Free Spirit papers. Lawn Fawn – Everyday Sentiments Banner die, Cross-stitched Square and Rectangle Stackable dies and Stitched Circle die. 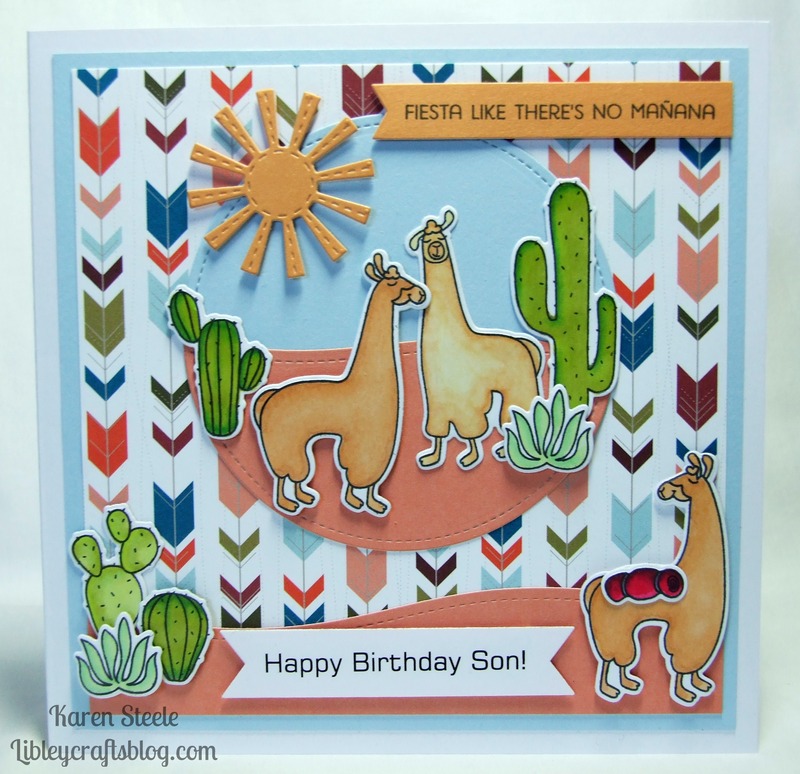 L’il Inker – Sun die, Frantic Stamper – Stitched Scene Builder dies, plain cardstock from stash and Spectrum Noirs to colour. Well, that’s my first post for this year! Thanks so much for stopping by today and I hope you enjoy the rest of your week. 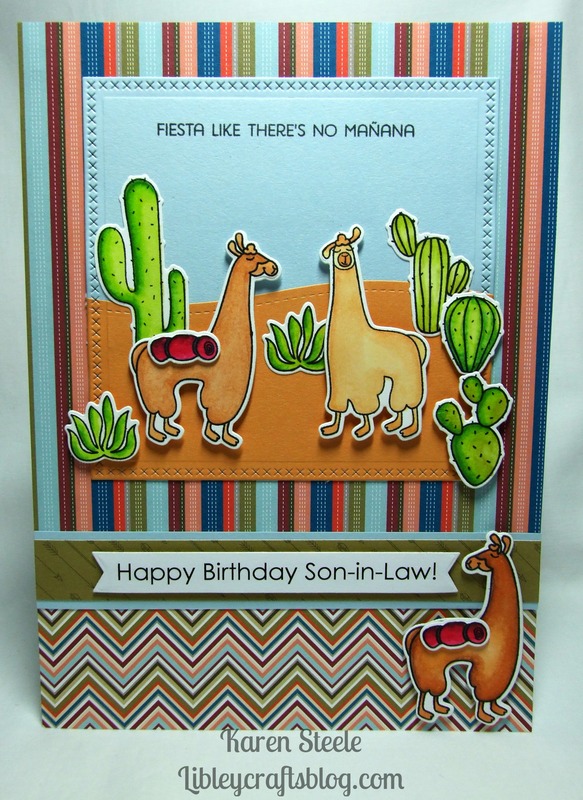 I also used: My Favorite Things – Free Spirit papers, Lawn Fawn Stitched Circle Die and Everyday Sentiment Banner Dies. Frantic Stamper Stitched Scene Builder Dies, Spellbinder’s Circle Die, Epiphany Tool, Spectrum Noirs, Memento inkpads in Tuxedo Black and Espresso Truffle. Core-dinations cardstock and the ‘Brother’ sentiment is from Waltzingmouse Stamps. Also, my WRMK Corner Chomper. That’s all from me for today. I hope you’re having a good week so far, and to all blogging pals across the pond – ‘Happy Thanksgiving’ for tomorrow!